As I’ve been studying, here at work at The Group Real Estate, the ideas of what is fun to do in Idaho Falls, one of the many parts of being in Idaho Falls, and living in this area, is not only knowing what to do during the day, where to eat, or where to visit, but the idea of what to do at night. Everyone loves the night life and what to do at night time. We all have that place where we want to go after work and unwind, to go and hang out with friends, and a place whee we feel like we will have fun! 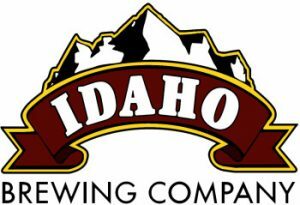 The Idaho Brewing Company is over on the river. A great place to go and have a beer. They don’t serve food there, but the night time hang out is in a great location and has a wonderful atmosphere. The other place is the Celt. A fun location where they serve drinks, have some snacks and give a fun atmopshere as well. Tap-N-Fill is a great place to relax and try some craft beers with your friends. It is right next to MacKenzie River, which is nice, as Tap-N-Fill doesn’t serve food. This way you can go directly over to get some food, or you can get the food first, then go over to Tap-N-Fill with your friends. If you are hungry while there, it’s easy enough to order a pizza to be brought over. BlackRock Fine Wine & Ccraft Beer is wonderful and has a great selection with a great downtown feel. They do a game night there that is a lot of fun. There have been reviews talking about it being a “super cool bar.” Has a great look and feel about, with a very classy look. R & R Bar has a great vibe, as it’s a place where they have held pool tournaments. As a friendly neighborhood bar their motto there is “where good friends meet.” With the pool tables and the vintage memorabilia on the walls, it’s a great place to go and take a load off. 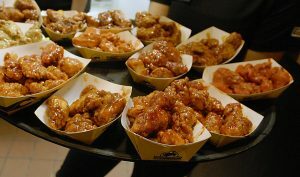 Buffalo Wild Wings is always a place that comes to mind when thinking about a night out on the town. A very easy location, as it’s right on the river and has a good atmosphere to watch sports and have a great evening with friends. The menu has appetizers, dinners, and snack type food. As the games are going, it’s a fun place to watch football, basketball, baseball, and the UFC fights with your friends. Order a nice drink, and some snacks, and have a great night out with your friends, enjoying some sports and a fun loving atmosphere. The night life can be very apparent in Idaho Falls. If you like to go and hang out with your friends, in a place where you can take a load off, put your feet up and enjoy the night at one of these great places. From wanting to go have a casual drink with your friends, to going and watching the football game, or just having a small, quick meeting with friends, these are just a few of the places you can choose to have a great night.